Korea’s designated intangible cultural property No. 122, Yeon Deung Hoe (Lotus Lantern Festival) will take place between May 12 and May 23 at Jogyesa Temple in Seoul. 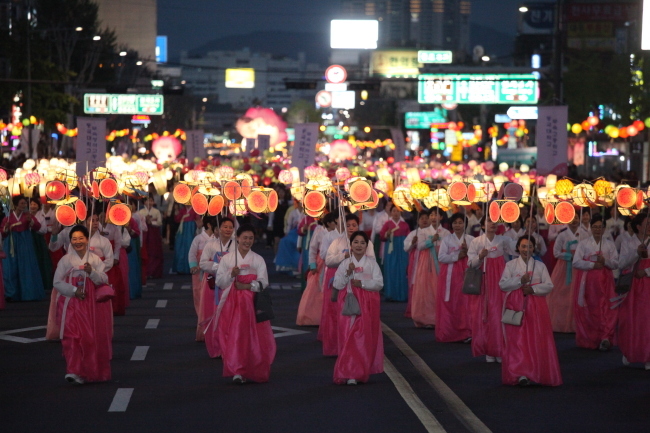 The festival includes Lantern Parade from Dongdaemun Gate to Jogyesa Temple between 7 p.m. and 9:30 p.m. on May 12, and a post-parade celebration that will include traditional group dance of ganggangsullae. On sideline of the event, “Eoullim Madang (Buddhist Cheer Rally)” will also take place on May 12 from 4:30 p.m. to 6 p.m. at Dongguk University Stadium. Other hands-on events will take place during the event. For more information, call 02-2011-1744~7 or visit www.LLF.or.kr/eng. Designated as the first Slow City in Asia, Cheongsando in Wando-gun hosts the annual Cheongsando Slow Walking Festival until May 7. April is the best time to enjoy the canola blossoms and barley with the sea in the background. During the festival, visitors can participate in various cultural events and exhibitions. The event is open to visitors of all ages, and there are separate charges for hands-on programs. Call the travel hotlines at 1330 for more information in Korean, English, Japanese or Chinese. The homepage www.slowcitywando.com is operated in Korean only. 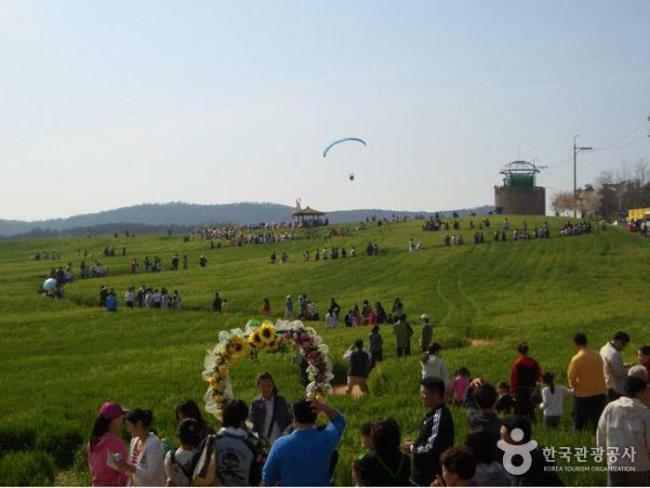 This year’s annual Gochang Green Barley Field Festival is held until May 13 in the green barley fields of Gochang-gun. The festival celebrates the plentiful barley grown here, and visitors can take part in activities such as making flutes out of barley and searching for hidden treasures in the barley fields. The event is open to visitors of all ages, and participation fees vary by programs. Call the travel hotlines at 1330 for more information in Korean, English, Japanese or Chinese. The homepage www.gochang.go.kr/chungbori is operated in Korean only. 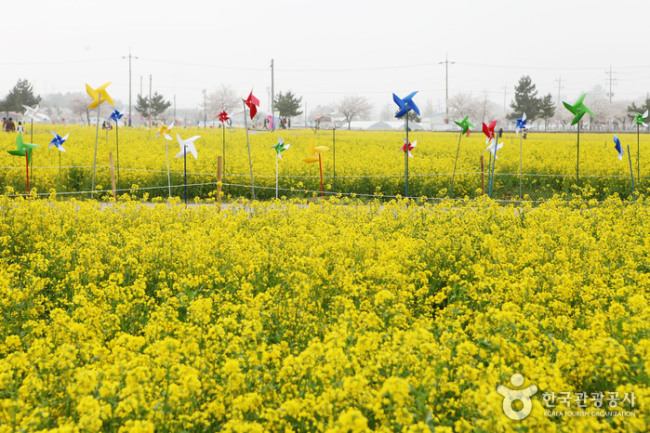 The Maengbang Flower Festival boasts a view of canola flowers, cherry blossoms and the blue sea of the East Coast. The festival also offers a diverse set of events and programs including a local produce market, fresh strawberry picking, and exhibition on canola flowers and bees. The Samcheok Tourist Center will also be at the festival to help any tourists to the area visit the variety of tourist attractions nearby. The event is being held until April 30. 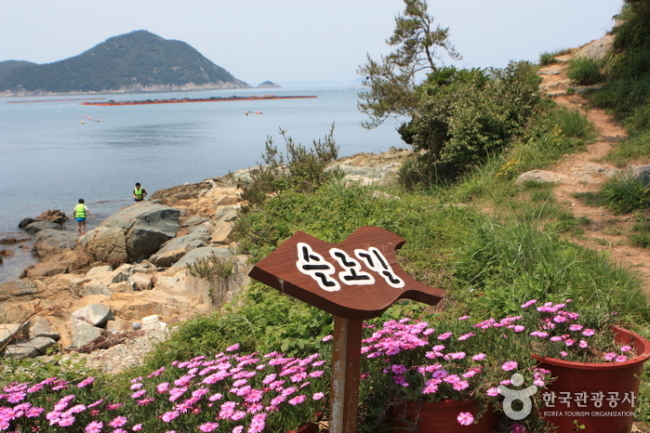 Visit tour.samcheok.go.kr for more information in Korean, English, Japanese or Chinese. 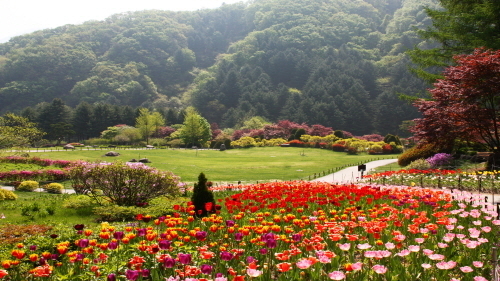 The Garden of Morning Calm is one of Korea‘s major botanical gardens, attracting about 700,000 tourists from home and abroad annually. Every year during The Garden of Morning Calm’s Spring Festival. The garden holds a range of exhibitions, cultural events and educational programs during the festival. The performance hours are from 8:30 a.m. to 7 p.m., and last admission is one hour before closing. The event is open to visitors of all ages. For more information in Korean, English, Japanese or Chinese, including the information on admission fees, visit www.morningcalm.co.kr.